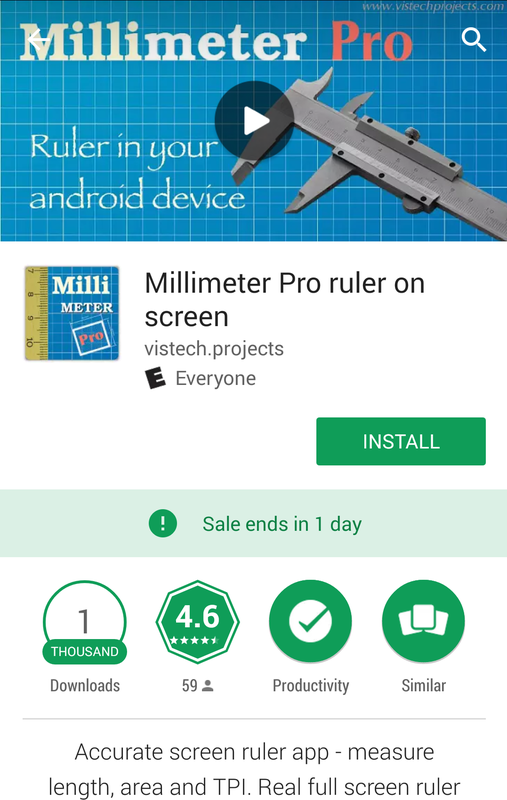 Millimeter Pro on iOS has been updated with new Protractor Mode recently published on Google Play as well. New Protractor Mode presented in the next version of Millimeter Pro v2.1 on Android. This feature is also available as in-app purchase item in the free version of the app. Simultaneous measurements in degrees and radians - can be used for quick angle conversion! Fast and fine tuning for accurate measurements: use top of the screen for quick adjustments, bottom - for fine tuning. We hope you will find the new mode useful and if you have any comments, suggestions or requests, please contact us. 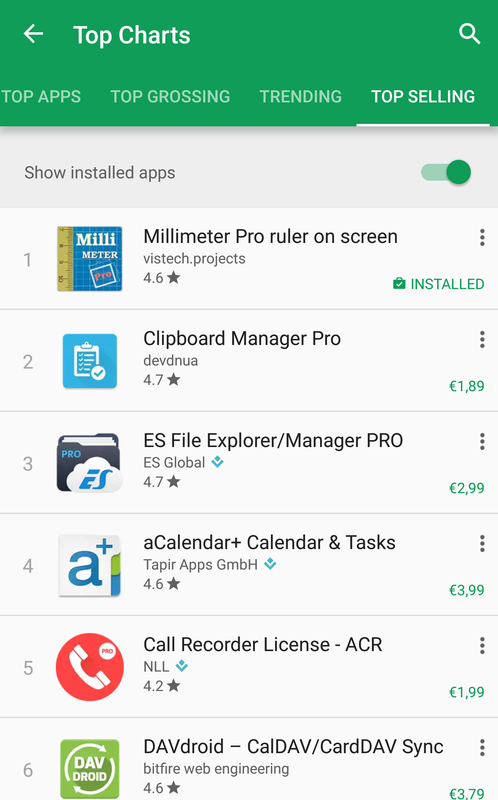 Millimtere Pro ranked #1 in top charts on Google Play (Europe). 🌟🌟🌟🌟🌟 Very nice app when you need a quick tool to measure something. Thank you for your effort. 🌟🌟🌟🌟🌟 I am impressed. Very accurate with default calibration. It's a keeper! 🌟🌟🌟🌟🌟 Rewelacja, dokładność do setnych milimetra! 🌟🌟🌟🌟🌟 Genial, nunca sabes cuando te puede hacer falta. 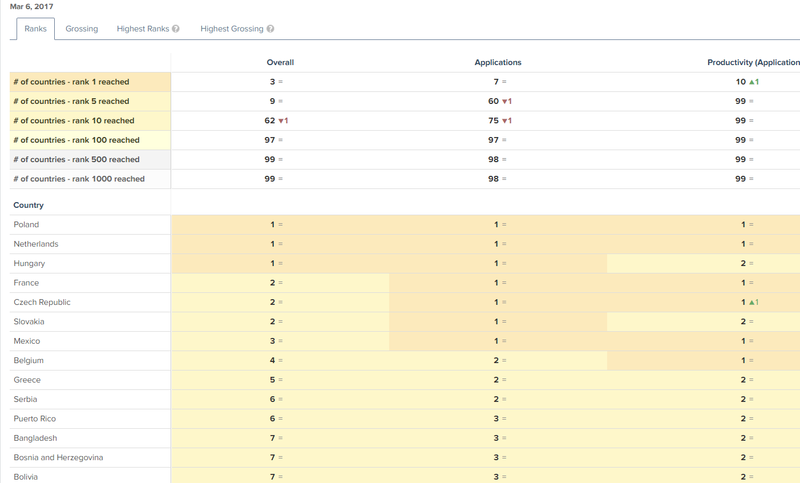 As a result the app has been ranked number 1 on Google Play in Applications and Productivity categories in some European countries and made top 10 (Productivity) in the other local markets. Millimeter Pro is the top selling app in Productivity. 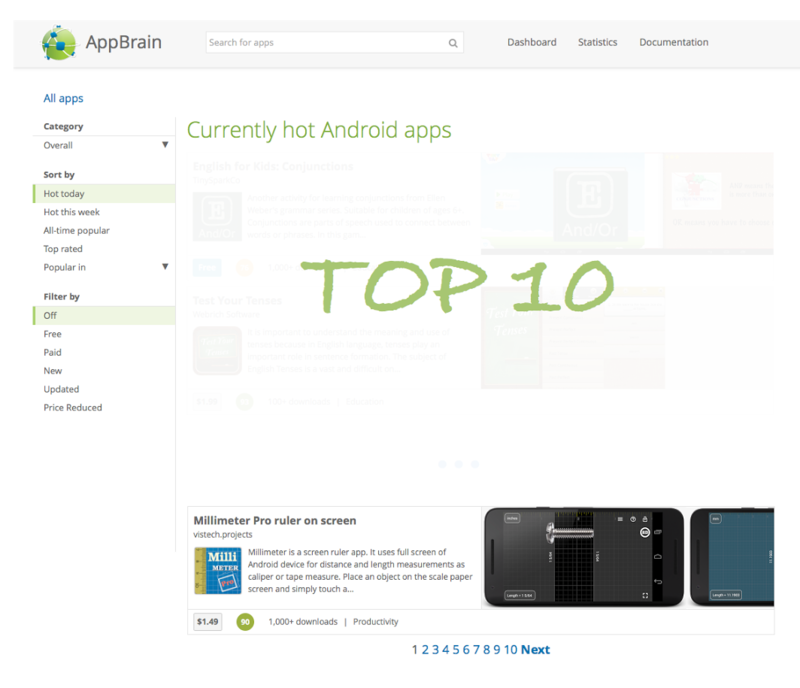 We deeply appreciate your interest in our apps and your support and feedback. If you have comments, suggestions or requests, please contact us.